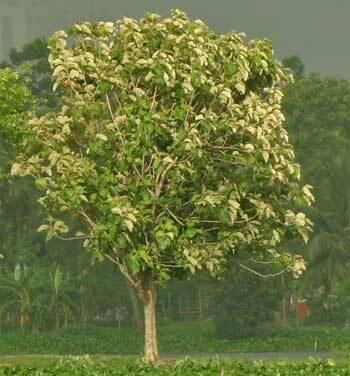 Teak Tree and Small Herb..!! The teak tree said, “I am very handsome and strong. No one can defeat me”. Hearing this the herb replied, “Dear friend, too much pride is harmful. Even the strong will fall one day”. A strong wind blew. The teak stood firmly. Even when it rained, the teak stood strong by spreading its leaves. At the same time, the herb bowed low. The teak made fun of the herb. One day there was a storm in the forest. The herb bowed low. As usual the teak did not want to bow. The storm kept growing stronger. The teak could no longer bear it. He felt his strength giving way. He fell down. This was the end of the proud tree. When everything was calm the herb stood straight. He looked around. He saw the proud teak had fallen. Being too proud can be harmful for life..! !